Integrate your website into an Android and iOS ‘MyApp’. Fill out a simple form and create your MyApp link instantly. Easily share the app to stay connected to your customers. Any changes to your website instantly appears in the app. An instant app that integrates your website into a customizable container app. The MyApp technology allows you, the website owner, to customize a “container” app with landing screens, menus, widgets and more. Once your MyApp is built, you can share it with your contacts by email, text, QR code or social media. The MyApp is available for download on the Google Play or Apple iTunes Store. Build a customized container app for your website by filling out a simple form. Choose from a variety of features and design templates. Skip the app store publishing and approval process. Use our suite of free promotional tools to share your app with your customers, including QR code, email, texting, and social media options. Communicate with your customers using push notifications, monitor your app usage (analytics), and instantly update your app layout and features using the admin view without app store re-publishing. Tools to customize and manage your app. Add your logo, and social media sites. Add your e-commerce store to your app. Automatic website and app synchronization. Instant publishing. No app store approvals. Fast, powerful and easily navigable. Your website within a customized template. App displays website changes instantly. Your site on your customer’s phone. Be on top of your customer’s mind. Offline customers get notified with an alert. Get vital statistics about your app downloads and usage. Send messages to everyone who has your app. 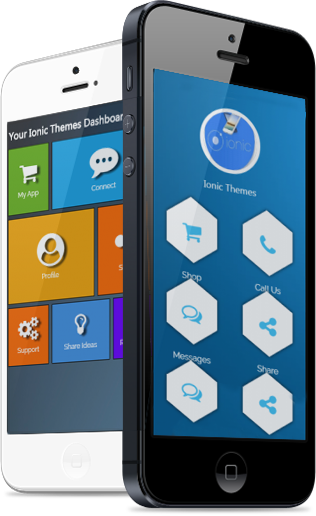 Powerful tools to manage and customize your app. Display your company’s logo and set the color scheme to fit your brand. Add a custom landing screen to make it easy to navigate. Changes to your website will instantly appear in app. Share your app with customers using a variety of tools. There’s much more to see! Add your social media, e-commerce store, gallery, and more! You can manage and communicate with your customers using the admin view. Send push messages, view your analytics, share your app, and more. You can customize the customer view landing screen with different templates. Also, your website updates instantly display in your app. No more publishing to the app stores. Your customers will see your website in a mobile app view with a custom menu and landing screen. The menu is fully customizable with different widgets, layouts, and colors. Link to your e-commerce store, address map, social media, and send push notifications to your customer’s phone. You can streamline customer support by enabling in-app calling and get instant feedback. MyApp is a Container app that transforms your website into a native app for iOS and Android with custom landing screens, menus, and powerful app widgets. Why do I want a MyApp app? 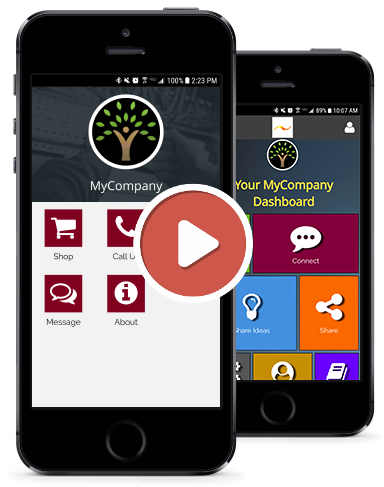 Using MyApp you can customize your website into a native Android, iPhone, and iPad app. It allows you to easily communicate with your customers on their phones using Push, Gallery and other powerful app widgets. It’s super easy. Fill a simple form and get the app in under 2 minutes. All you need is a website. AppNotch, Apple and Google want our users to have a great experience with websites and apps. Everyone knows app store publishing is a lengthy process and the guidelines changes often. AppNotch worked closely with the Apple and Android app store policy guidelines to come up with MyApp which ensures all their requirements are met. MyApp is free for 14 days. It is $95 per year after the trial period. Your app will use the MyApp icon but when your customers open the app, they will see your logo and branding on the landing screen and app header. 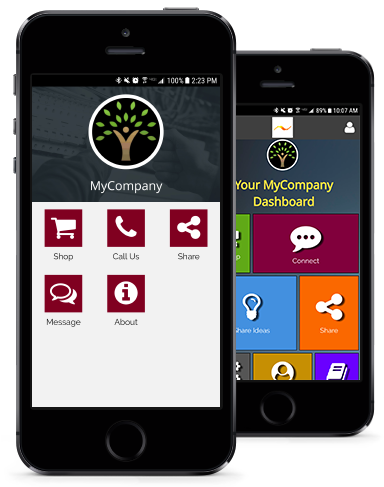 MyApp allows anyone with a website to join an Apple and Android app. The app is created on the fly without going through the app store publishing process. Apple and Android users love the experience since its fast with beautiful user interfaces, high performance, and great capabilities. It’s a new evolution in app sharing. 1. Download MyApp from Google Play or Apple Store. 2. Click the Create App button and fill out the form. 3. Login to MyApp and start sharing your App-Link.